The history of First Baptist Church of Marion dates back to January of 1843 when six persons met in a one-room log cabin to organize the church. 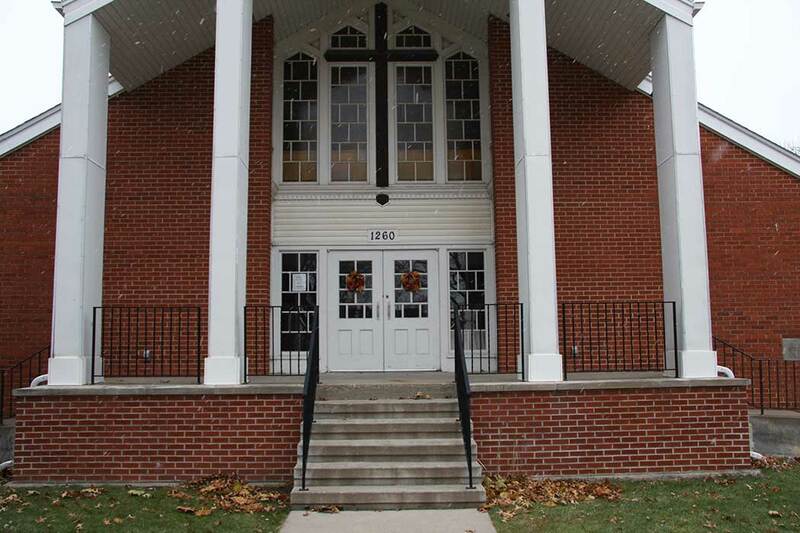 Meetings of the church were held in three other buildings until the current spacious brick building on the east side of Marion was occupied in 1958. 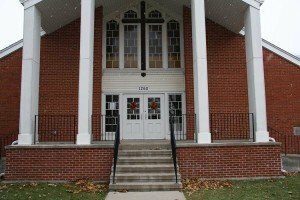 An indication of the young congregation’s vitality is seen in the growth from just six charter members in 1843 to one hundred-nine members by 1857. For the first five years they met in a log cabin located five miles east of Marion. Then they gathered in a rented room in the A. Daniels & Brothers Building on 7th Avenue and 11th Street. After two years of the rental arrangement, they decided to build their own house of worship on the northeast side of 11th Street at 6th Avenue (begun in 1851 and completed in 1855). 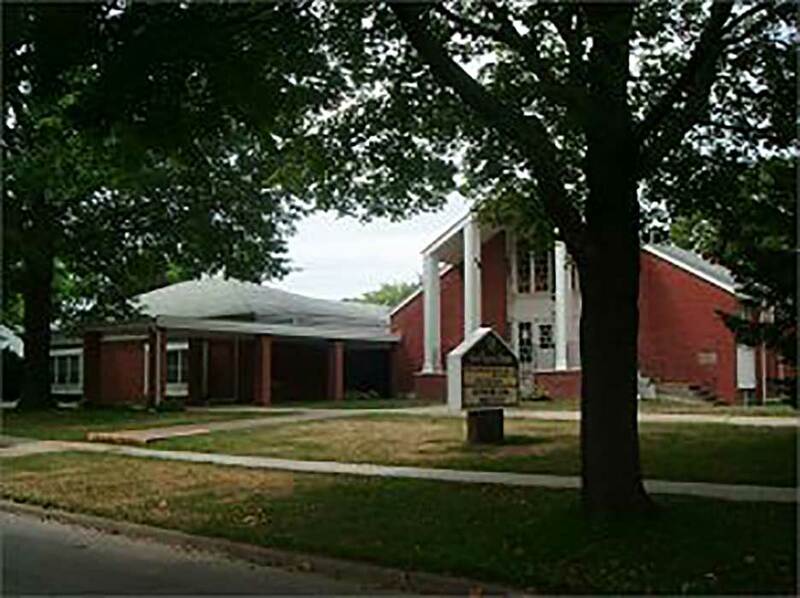 From the beginning of its history the First Baptist Church has been affiliated with the Iowa Baptist Convention (hosting its annual meeting in 1852), the old Dubuque Association, and was a charter member of the Linn Baptist Association in 1856. 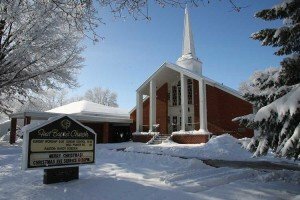 It has also been affiliated with the American Baptist Home and Foreign Mission societies, and the Northern Baptist Convention. These affiliations have continued through the years, though the names have changed. The name of the present national denominational organization is the American Baptist Churches USA. One of the early members whose spirit represented the Baptists was Rachel Ives Booth, later known as Grandma Booth. A daughter of a charter member, she was baptized in 1856. It was said that in times of discouragement, her words of conviction and encouragement would strengthen the whole church. She taught a Bible class for many years and greatly encouraged missionary support. The present educational wing of the church building is dedicated in her name, with heirs giving substantially as a memorial for her. One of the best remembered characteristics of the old Baptist church at 11th Street and 6th Avenue in Marion was that it was “the church by the tracks”. Each Sunday morning, one of the trains would come through during the worship services, blowing its whistle loudly especially at Tenth Street. When a train came by, the services would break often with a song. After the train had passed, the service would take up where they had left off. 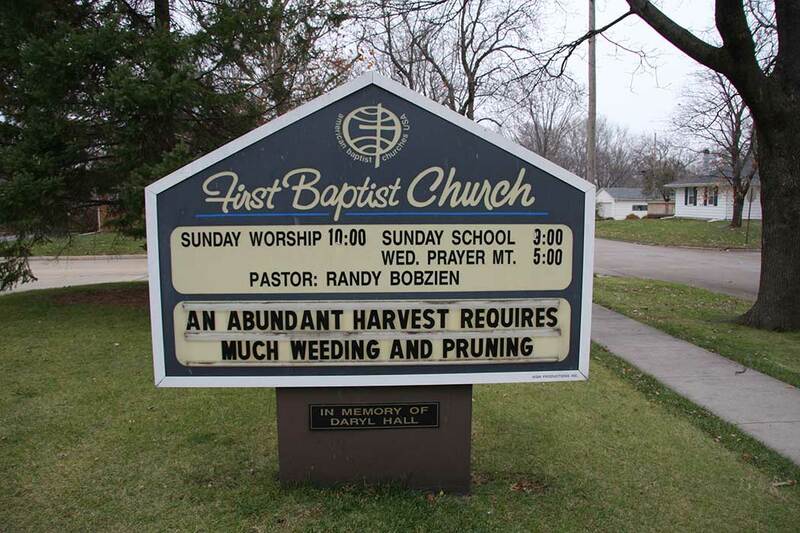 Many sermons were delivered in two or more parts. It was reluctantly admitted that once in a while the train was a welcome relief from a dull sermon. In 1874 the city of Marion, wanting to build a courthouse square, bought the church building at 11th Street and 6th Avenue. So the Baptists moved into the red brick building, just a block away at 6th Avenue and 10th Street, that the Methodists had outgrown. The Baptists would call it “home” for the next eighty-five years. Over the years, starting in 1916, there were discussions about finding a new place to worship since the red brick building was no longer big enough to accommodate church activities and was in poor condition. It was not until 1955 that the congregation finally voted to build both a new sanctuary and parsonage on two acres of land “on Marion’s east side”. The red brick building was sold to the Y.M.C.A. [now it houses the Marion Heritage Center.] The new parsonage at 1210 29th Street was occupied in 1958. The 1260 29th Street sanctuary was opened a year later. The parsonage was enlarged in 1960. The educational wing of the sanctuary was added in 1967. In the 1980’s the building was updated to be accessible to the handicapped. In 2009, the congregation took up the challenge of creating The 29th Street Mission to provide food and other goods to persons/families. In the first year we had 524 visits. Nine years later it met needs during the year of 2018 through more than 4,500 visits. Many elders/pastors have served the church over the years. More than a dozen were “interim” pastors—some who served as long as “called” ministers. The following elders/pastors have served over the years. The 140th Anniversary Celebration was held on Oct 16, 1983, during the term of Rev. Lyle Lee. The 150th Anniversary Celebration was held on June 6, 1993, during the term of Rev. Robert Nelson. The 175th Anniversary Celebration was held on September 15-16, 2018, during the term of Rev. Dr. Jerry Springston.